I’ve also included a lot of book recommendations because I learn via the latticework mental model(connecting what I just learnt to things I’ve learnt in the past) this helps me remember and understand things better. Note: If you found this essay useful, I would really appreciate if you could please provide some feedback. This is my first time doing something like this and I want you to enjoy the next one even more. What books should I do next? Was it too long? Too many book recommendations? Less opinion and more review? Less review and more summary? Please let me know. 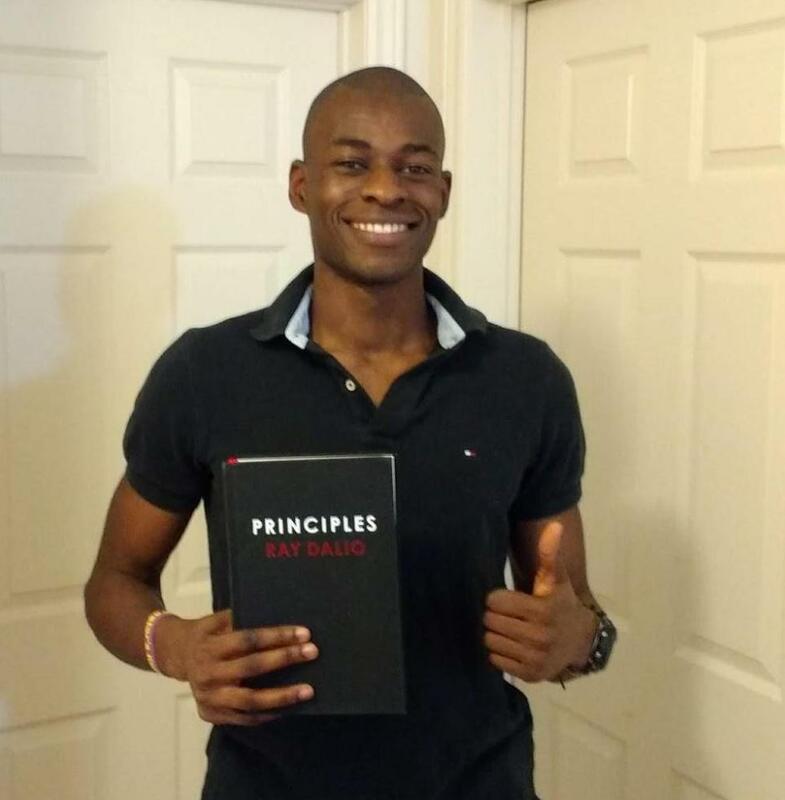 I actually first read Principles about two years ago when I was recruiting for jobs in the finance industry. Back then it was a series of PDFs on the Bridgewater site. I have also interviewed at the company before in the past (long story, short, I ran into visa issues). 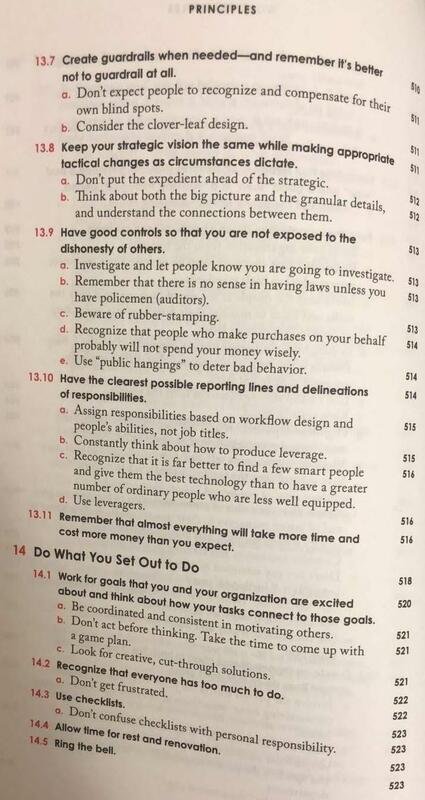 I am already very familiar with some of the ideas he presents with the article and I have already internalized and applied a lot of these principles over the last two years, so I found myself skimming many parts of the book as I had essentially already read them. Though, to make it more useful for you my steadfast reader, I will try to review the book through the lens of someone less familiar with his ideas. Note: I am also an Amazon affiliates member. The book is organized into 3 sections: Where I’m coming From, Life Principles and Work Principles. This part of the book is essentially an autobiography that details his life from birth (1949) to present day. Tracking his journey as a middle class child in Jackson Heights, New York City, who worked as a caddy at the local golf course and country club [note: fact check if that is true], which is how he first got introduced to the stock market (I think Carl Icahn has a similar story) The child of a jazz musician father and homemaker mother, he was a very mediocre student in high school and university because he didn’t excel at things that he was forced to do or when he didn’t know why he was doing something. He found motivation in financial markets, pulled himself together, got into Harvard business school, one thing led to another and the next thing you know he’s the head of the world’s largest hedge fund. The most interesting part is witnessing how much economic history Bridgewater has lived through. He tells the story of Bunker Hunt (page 28) who was at one time the richest man in the world only to get ruined by large speculations when the price of Silver fell in March of 1980. Or the Mexican debt default of 1982 that almost collapsed the US economy and almost ruined Dalio and Bridgewater. You get the sense that Dalio is a deep student of history, both by experience and by studying it. A lot of his decision making is based on well informed pattern matching, course correction and most importantly, systematically documenting those learnings into their trading algorithm, more on this later. One thing I noticed about him is that he is very self-aware and spends a lot of time reflecting on his decisions. This is a recurring theme throughout the book; being honest with yourself and course correcting. His ability for deep, honest self-awareness reminds me very much of George Soros. I kept making this comparison while reading the book I would also recommend Soros’ The Alchemist of Finance and Soros on Soros for more on that topic. My biggest complaint on this section is that even though I admire how much he opened up and transparent he was, I think he could have done more. More specifically, I felt like a lot of the times when he was opening up on a mistake he made there was still this thin veneer of spinning his flaws in a positive light. For example, when his closest friends took him out to dinner and said that other people found working with him unbearable because he would humiliate and belittle at them and make them feel unmotivated (page 62). His conclusion from the dinner was that those people didn’t understand him well enough. Though I feel like a more honest self-assessment would be just accepting the fact that he probably just needed to work a bit more on finding the right balance between being nice and polite while being radically transparent. It’s always very tough when public figures write books because they have a lot of reputation at stake so they can’t be fully transparent. For example, when talking about the 2008 financial crisis, I felt like he was trying to be very safe saying things like “the politicians tried their best, it was a tough situation etc”. Though, I feel like he is one of those people who had a front row seat and could have been very candid and transparent about what happened, key mistakes that were made and how to avoid making the same mistakes again. The core of the first point is that to truly have a successful life we must have a deep, honest perception of reality and what is true. He introduces the formula: Dreams + Reality + Determination = A Successful Life. Of course, even reality and truth can be subjective so he recommends using the laws of natures and evolution, combined with inputs from others to get a more objective perception of reality. Continuing with the trope of evolution, he mentions that Pain + Reflection = Progress and the way to develop yourself to the next level is by pushing past painful moments. Another point which is reminiscent of Soros who used to say that he performed at his best when he was under physical pain. Obviously, this should be taken with several grains of salt, but it’s an interesting point to think about. Occasionally, when you read a book you learn a lot about a tangential field that you weren’t expecting to learn about. For this book, I learnt a lot about cognitive neuroscience and how the brain works. The big idea from this section is that your brain is composed of two “yous” the higher level you and lower level you. The lower-level you is the amygdala and the lower level you is the prefrontal cortex. 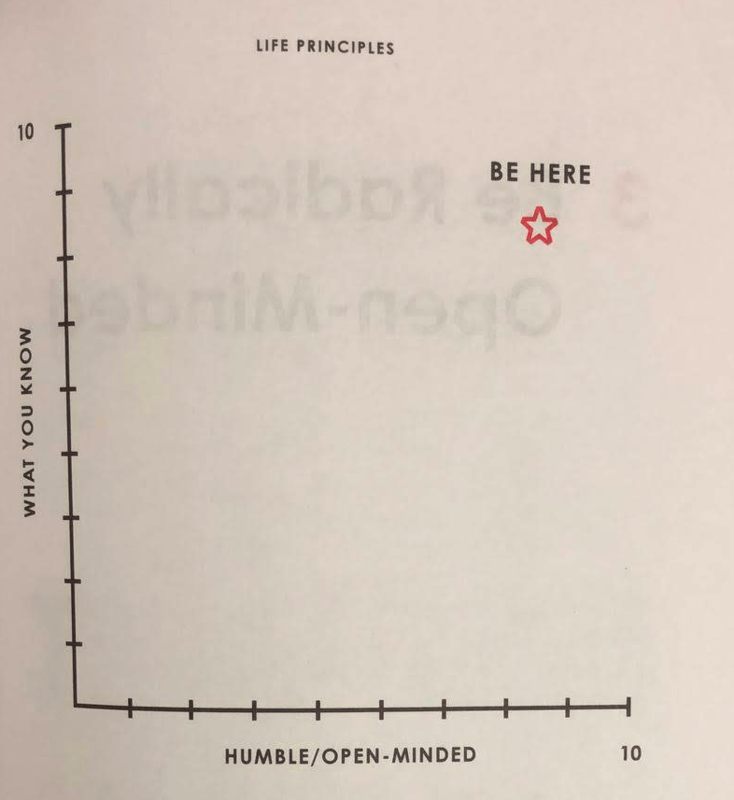 Dalio does a great job of explaining how the lower level you is like an attack dog that acts subconsciously and emotionally against your higher level you which is acting logically and consciously. He explains that when someone disagrees with you, your lower level you takes it as a personal attack and reacts angrily and emotionally. This happens subconsciously so when you try to explain your behavior, your explanations don’t make sense because your “deep-seated, hidden motivations are in control”. Daniel Kahneman’s Thinking Fast and Slow is another great book I would recommend looking at if you find this section interesting. “Triangulate your view with believable people who are willing to disagree”: When you have an opinion on something, find smart people who have different opinions and weigh their opinions against what you believe. Regularly use pain as your guide towards quality reflection: Mental pain happens when you are too attached to an idea and someone or something comes along and challenges it. Your amygdala (“lower level/emotional you”) will kick in and you become angry or irritated. Instead, use this as a clue that you might be wrong and think about the question in a thoughtful way. Get to know your blind spots: Make a list of all the times you made bad decisions because you didn’t see something that other people saw. Ask others, especially those who saw what you missed to help you with the list. Write it on paper, tack it on a wall and stare at it. The next time you are about to make a decision in this area, make sure to consult others for their opinion. Meditate: Dalio is a big advocate for Transcendental Meditation and believes that it helped make him more creative, calmer and provided him with better perspective. He mentions that it may not work for everyone but it worked for him so he just wants to pass it along. In this section he explains that people’s brains are wired very differently so we all perceive reality in distorted ways. Side Note: While writing this on the bus home, I realized that this review is already 6 pages long in Google Docs and I have skipped so many parts. If you find any of this interesting I strongly encourage you to get the book or rent it from your library. Meaningful work and meaningful relationships aren’t just nice to haves – they are genetically programmed in us: If you’re reading this you’re probably already vaguely aware that having loving relationships is the key to a happy life. But Dalio takes it a step further and says that there is science to back this up. He mentions two books; Subliminal by Leonard Mlodinow and The Meaning of Human Existence by Edward O. Wilson. He uses these two books to emphasize the point that the only real, fundamental difference between humans and other animals is our social ability to collaborate between large numbers of humans from different groups. Even migrating birds, schools of fish or worker ants who seem to collaborate in a large group, typically only do so within one large group.He ends the chapter on a very interesting rabbit hole where he imagines what the future of thinking looks like. He gives the example of genetic engineers giving someone optic lobes from birds if they want to improve their vision. Unfortunately, he ends it there saying its not going to happen anytime soon so let’s focus on more practical matters. It would have been fun to hear his dreams and ideas regarding what the future of genetics looks like.Another great book which brilliantly covers the social nature of humans vs other animals and has some interesting ideas on evolution is Homo Deusby Yuval Noah Harari. He also explores the fascinating field of genetic engineering and biohacking. I strongly recommend that book as well, one of my top five favorite books. 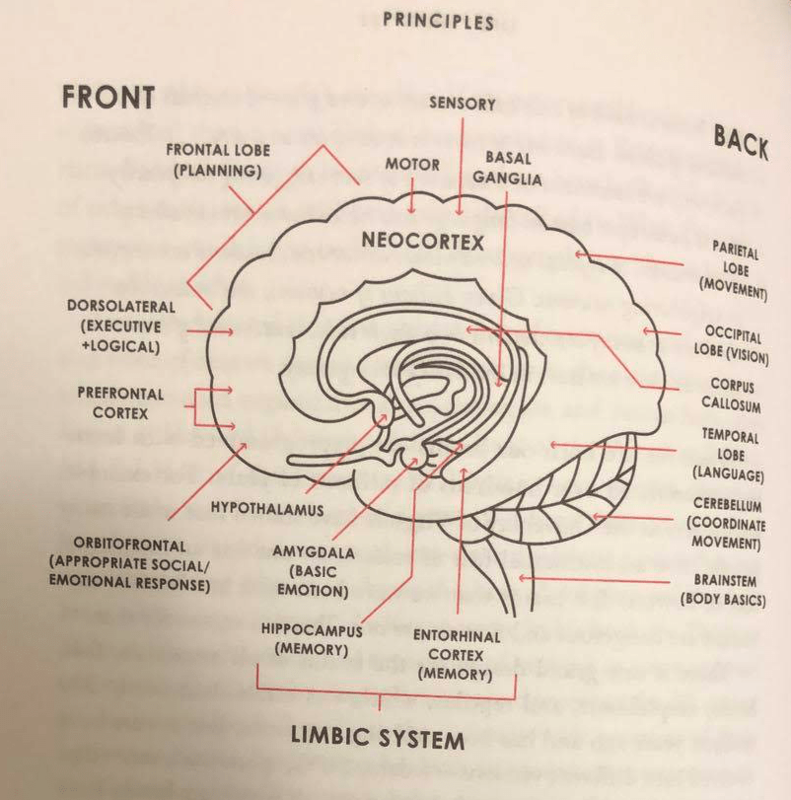 Realize that the conscious mind is in a battle with the subconscious mind (page 218): Dalio refers back to the idea presented in page 182 about lower-level and higher-level you. Just like animals, many of our decision making drivers are below the surface. Just like other animals we don’t “decide” to hunt or sleep or fight, we simply follow the instructions coming from the subconscious parts of our brains. Some parts of our subconscious parts are “dangerously animalistic”, others are smarter and quicker than our conscious minds.Moments of inspiration and creativity tend to come from our subconscious and learning how to cultivate the lines of communication between conscious and subconscious allows you to think more creatively. Most people only see the conscious mind and believe that they can accomplish more by cramming their conscious mind and forcing it to work harder. Though, counterintuitively, clearing your head can be the best way to make progress. He recommends meditation and putting yourself in a state of relaxation to reach this point. Find out what you and others are like: I liked this section because it touches on something I have been thinking about a lot recently, the importance of Emotional intelligence and social skills in the modern society. It also brushes ever so slightly into interesting topics like categorizing people with assessment tests and the ability to predict people’s actions and behaviours.This opens up an entire can of worms on what does a world where algorithms can accurately predict human actions and predictions look like. Algorithms that can accurately predict the probability of you committing a crime or getting into an Ivy league school at the age of 13, just by analyzing you psychologically and biologically. I will leave the reader to ponder that and caution you to leave subjective “feelings” out of it but asses if you are prepared for such a world.One skill which I have been dedicating quite a bit of time for in my personal development and which I hope will help me in a rapidly changing future is understanding human nature better and being able to predict what people will do in various situations. Two of my favorite books of all time on this topic are: Influence by Robert Cialdini and Lessons of History by Will and Ariel Durant. If you really want to go down this rabbit hole, you should read about the Sidonia character from Benjamin Disraeli’s Coningsby. Keep in mind both the rates of change and the levels of things, and the relationship between them: When you are analyzing a situation it is not just the current state which matters but the rate at which it is improving and if the rate of improvement is moving at a rate that it will get to an acceptable point that matters.Put simply: You start an online business. Initially, product variety is low, the recommended items algorithm is converting poorly and your cost of customer acquisition is high. Simply, your product is not that great and you are generating a net loss every quarter. Though this is not too big of a deal. Provided you are quickly iterating on your customer and market feedback and data, making the product better and improving your unit economics. If you have a clear path to profitability before your company runs out of money or motivation you have the history of Facebook, Amazon and Google. In my opinion all three of those points are related to the concepts of expected value calculations and less obvious but also about risk taking. I think that sometimes we humans can be too risk averse and one of the reasons is that we are not very good at calculating the cost benefit probability of a decision we make. More importantly, we tend to overestimate the downside of action and underestimate the downside of inaction. I haven’t read the book but Thinking in Bets by Annie Duke is a book that a friend strongly recommended to me which covers this topic and he also recommended the podcast based on the book. The final section is where things start to get really interesting. Here he dives deep into his framework and process going from Thinking -> Principles -> Algorithms -> Great Decisions. The idea is that you should take your thought process for the steps and rules you follow when making decisions and translate it into an algorithm which a computer can understand. He suggests “developing a relationship with your computer alter ego” where you teach each other what you do best, so that you can improve your decision making. He believes the computer is the link to collective decision making and will “almost certainly advance the evolution of our species”. Smart Gmail filters and autoresponders that handle the 50% of your mail that is periodic and often requires the same actions. An automated HR system that scrapes resumes and LinkedIn of job applicants to automatically determine which candidates to advance to the next stage. Obviously the leap from 1 to 3 is extreme, but it might be closer than we think. Though he is generally very optimistic about the future of AI, he worries about the dangers of people blindly accepting the results of AI without understanding it deeply. Dalio categorizes AI into 3 broad types: expert systems, mimicking and data mining. Expert systems are what they use at Bridgewater where they see how different scenarios emerge under different circumstances based on a logical understanding on a set of cause-effect relationships. Mimicking, which is basically computers observing data and applying them in decision making without an understanding on the relationships between them. Finally, we have data mining which is powerful computers ingesting large amounts of data and looking for patterns. Essentially he is raising the topic of explainable AI. Which is AI that gets us the right results but we can’t “explain” or “understand” how it works. There is a fascinating article by a machine learning designer from Google, Cassie Kozyrkov called “Explainable AI Won’t Deliver, Here’s Why” that makes a very interesting counter argument about why trying to explain or understand AI may not be the right way to think about it, I strongly recommend it for anyone interested in that topic. Though, I must commend Dalio because he plays both sides very well himself. He concedes that maybe it’s his “lower level” self that is driven towards explainable models and not his logical and reasoning self. He allows for the fact that if a model works accurately but we’re not able to explain it, that might be sufficient. It’s rare for authors to poke holes in their own arguments in such a transparent way so I commend Dalio for closing the chapter in a very intellectually rigorous way. 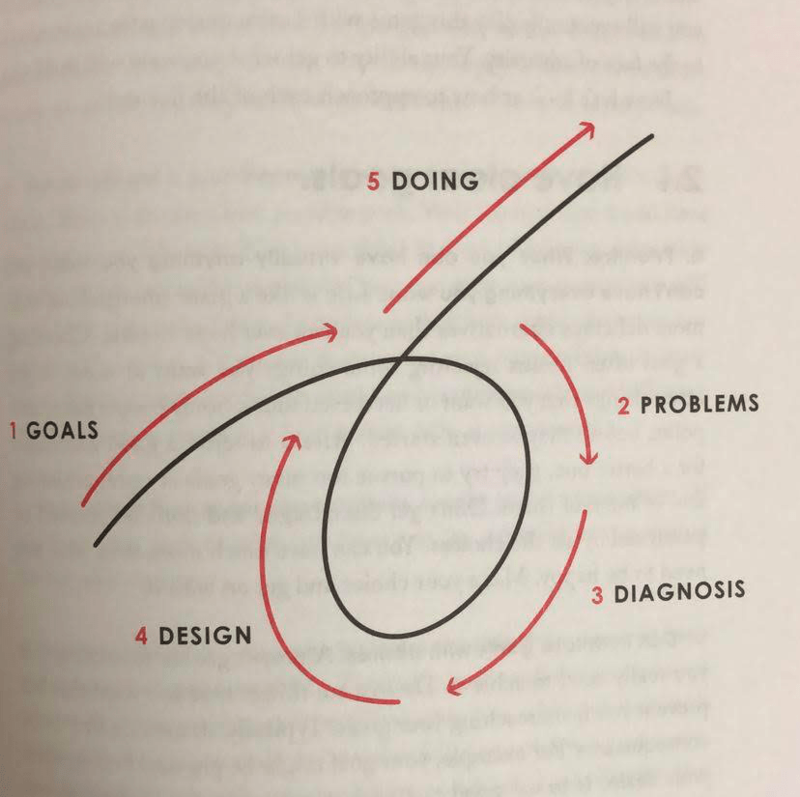 In the final section Dalio explores his principles for how he runs Bridgewater and how he keeps his employees aligned on the same culture and vision. Though, I think this section is useful for anyone trying to get a group of people to work towards a common goal (sports team, non-profit, political party, startup etc.). He begins by mentioning that he thinks of companies as a machine, composed of people and culture and they both affect each other. Which reminds me of the theory of reflexivity, an idea explored in Soros’ Alchemist of Finance. He divides the section into Work Principles… to get the culture right, to get the people right and to build and evolve the machine. Just like the previous two sections, he explores a wide range of topics so I will pick one idea from each section that I found most Interesting. In 2007, the once media-shy Bridgewater started making headlines for their concept of “Radical Transparency”. Media were shocked to discover a culture where every meeting would be recorded, people would have baseball cards made highlighting their strengths and weaknesses and Ray Dalio, the CEO himself sent a company wide email congratulating an intern who had scolded him for “wasting everyone’s time by being unprepared”. Some critics say that the radical transparency has been taken too far, but the general idea is very much a step in the right direction. Too often in organizations and relationships, people avoid confronting hard truths because of fear and ego. Dalio makes the case that truth can only be achieved by being transparent in our relationships with others. I would also add that as the internet and social media continues to grow at scale, I think that the people and organizations which are the most transparent and honest will outperform others. [I made a note to myself to add a paragraph to this section but I forgot. Then I got too lazy to add it as this article was already taking too long. If there is enough interest (i.e. one person emails or tweets at me) I will increase the priority of this and add a review/summary of this section. Understand that people you and the people you interact with will go through a personal evolution: When you first enter into a professional or working relationship with someone you are both at a certain point in your lives. Thus, you interact with each other based on your current circumstances in life. The challenge is that if you have a fixed mindset, when you or the other person changes, it is hard to consciously recognize this and adjust how you’ve been interacting with the other person. An example might explain this better: You are the head of sales for a real estate company and your top sales agent is Wendy. When Wendy first joins your company she is young, ambitious and wants to make money fast. You both have aggressive personalities and frequently yell at each other which is fine; you are both comfortable with and actually enjoy that kind of “banter”. Wendy is good at her job and you reward her well by promoting her to more demanding positions and giving her more money, which motivates her further, she gets better at her job, the cycle repeats. Then Wendy gets married and has kids. Now, Wendy still enjoys working and is still good at her job. Though she now wants to spend more time with her family, is looking for more work life balance and has grown past the aggressive sales culture. Unless, you have a radically transparent relationship, you and Wendy are both very self aware and have a candid conversation about this; there is a high chance you will keep interacting with Wendy based on how she was five years ago, as opposed to how she is now. This characterizes many relationships in our life. Not just professional, but also personal relationships between spouses, parents and kids, best friends etc. So when someone says “You’ve changed”, its not necessarily an insult. Instead, understand that they’ve changed as well, so your relationship must also change. Only you can control if this change is for the better of for the worse. Get your closest friends and family members and ask them to tell you what they believe your biggest weaknesses are and what are some things you do, which they don’t like. Take a personality test (e.g. assessments.principles.com) or see a therapist and psychoanalyze yourself to figure out what type of person you are. E.g. left-brain or right brain, big picture or detail oriented etc. When trying to think of creative ideas, don’t actively think about the subject you’re brainstorming for. Try to put your mind in a state of relaxation to make it easier for the idea to flow from your subconscious. Don’t monday morning quarterback. Avoid evaluating past decisions based on what you know now, evaluate based on what could reasonably be known when the decision was made. Make a list of all the times you made bad decisions because you didn’t see something that other people saw. Ask others for input, especially those who saw what you missed to help you with the list. Write it on paper, tack it on a wall and stare at it. The next time you are about to make a decision in this area, make sure to consult others for their opinion. I was very surprised that a giant of finance such as Ray Dalio is being very public and sharing his teachings with others. The skeptic in me wonders if there is an ulterior motive, but I’ve learnt that when people do nice things, I try to give them the benefit of the doubt and I really appreciate him sharing his knowledge with others. He definitely put a lot of effort into this book and it shows. Very well researched and he references a lot of studies and papers. Though, I wish that when he references a study or paper in the footnotes he also includes the author and title so we can find it easier. If I wanted to really nitpick I would also say that the book was a bit high level and could have been a bit more practical. Again, he is dealing with a very abstract topic which is hard to break into simple actionable steps but at time. This is also the most organized book I have ever read. He does a very good job of breaking things out into sections, numbered items, diagrams and always summarizes his points at the beginning and end of most sections. This makes it a perfect book to use as a reference guide to refer to multiple times later in the future. The major thought I came away with is the idea of systemizing everything that we have learned as humans into a set of rules and heuristics that can be simulated by computers. We already have computers deciding whether or not to buy a stock. This system would decide whether or not to hire a fund manager and whether or not to promote him. This will undoubtedly raise endless ethical debates and arguments from various sides. Though, I think when all is said and done, and people realize that computers are quicker, cheaper and better than us at making most decisions, they will start deciding everything they can for us. It almost becomes a moot point to debate how we feel about it if this will happen anyway. Instead, we need to ask ourselves how we can best prepare for that situation. Ultimately, this is one of the most idea dense books I have ever read (Antifragile, Poor Charlie’s Almanack and Lessons of History are the three others). So many good ideas per page even while rereading, it I keep adding more to my notes. I really tried to be as concise as possible but there are so many good ideas that even at 5,604 words, I still feel like I left a lot out. He is very transparent about lessons he’s learnt from his personal life which I admire as it’s not easy to open up like that. Though, I think he could have been more candid about some of his observations and thoughts on his professional life and what he’s observed by having a front row seat in the financial and political industries. 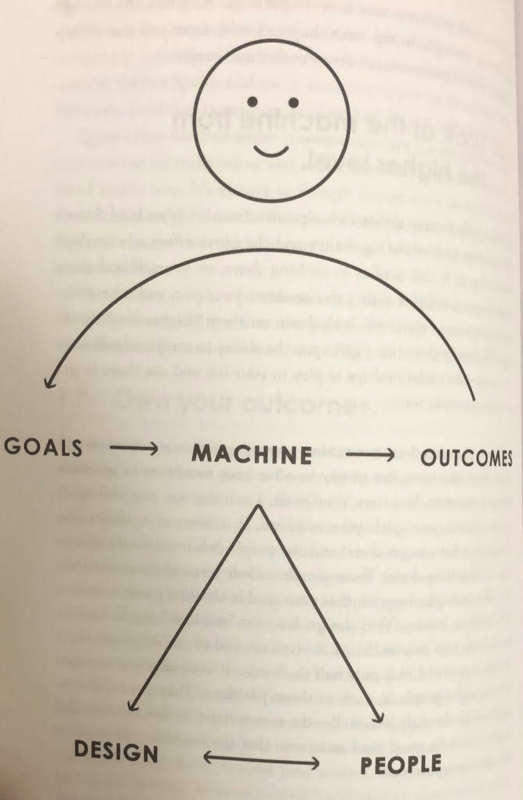 Overall, a very good book that I would recommend if you want to gain a better understanding of the two ultimate machines, your brain and your mind.